Episode 9 of the NewRetirement podcast is an interview with Ben Carlson — the author of A Wealth of Common Sense (both the book and the blog). Ben discusses his perspective on investing, his work writing and managing money, and the present and future of wealth management. Steve:	Welcome the ninth podcast for NewRetirement. Today we’re going to be talking with Ben Carlson the author of A Wealth of Common Sense (both the book and the blog) about his perspective on investing, his work writing and managing money, and the present and future of wealth management. Our goal is to help people who are planning for retirement or financial independence with financial insights, stories, and ideas for making the most of their lives. 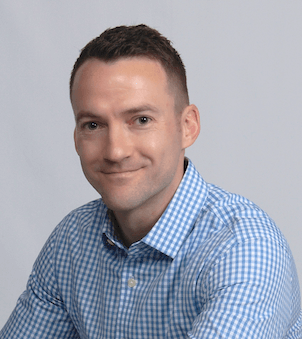 Ben lives in Grand Rapids Michigan and is the Director of Institutional Asset Management at Ritholtz Wealth Management, they create detailed investment plans and manage portfolios for institutions and individuals to help them achieve their goals. He’s been managing institutional portfolios for his entire career. He’s developed portfolio strategies and created investment plans for various foundations, endowments, pensions, hospitals, insurance companies, and high net worth individuals. And finally, just to recap he’s the author of two books, A Wealth of Common Sense: Why Simplicity Trumps Complexity in Any Investment Plan and Organizational Alpha: How to Add Value in Institutional Asset Management. So, Ben welcome to the show, appreciate you making the time. Ben:	Thanks for having me. Steve:	By the way, full disclaimer nothing that you hear on this podcast should be construed as advice we’re just answering questions and providing information. So, I just want to jump in and first talk a little bit about you and your background. I just want to hear you obviously do a lot of work all around the country, but you live in Grand Rapids Michigan and I was curious kind of what’s a day in the life like for you? Ben:	Well, I don’t really have the greatest morning routine because I have three young children so I’m not up at 5 am working out or reading, so it’s just kind of a fun time to get the kids out the door. But yeah, I actually work remotely because Ritholtz Wealth Management is actually headquartered in New York City, so I have my own office here. And my day is kind of spent doing tasks with the company. I do a lot of writing and reading. I don’t really have a set schedule so I’m still feeling flexible but really my day is spent thinking about the markets and communicating them in a number of different formats. Steve:	Got it. And do you meet face to face or remotely with your institution clients on a pretty regular basis? Ben:	So there’s some face to face but the way that we have the firm setup we use technology to our advantage and don’t have unnecessary meetings. We really don’t have to so a lot of it is using technology to make communicating easier. And so, you know there is a lot more email and phone calls and video calls and that sort of thing to meet with people, but obviously you have to put in the face time every once in a while just to keep up that sort of layer of trust. Steve:	Nice. Just as a quick aside, do you guys use Slack internally? Ben:	Yes, yes it’s amazing. It’s basically done away with internal email for us and reply all’s that they can clog up your inbox. And so, in terms of communicating intercompany because we actually have people working remotely all over the country, we have an office out in Portland, we have an office in Chicago, we have someone down in Florida, we have someone in California, myself in Michigan so we have people all over the place and the way that you can communicate to that tool is pretty amazing whether you’re on a desktop, laptop, iPad, phone, whatever it’s great. Steve:	Yep, no we use it as well. We’re semi-virtualized here as well. We have an office where we get together physically on a regular basis but a lot of our team is in different parts of the Bay area, one guy’s in Las Vegas, and we’re also using some resources around the world. But yeah, Slack has been game-changing. There’s so many tools out there that make a significant difference and allow you to kind of really scale and be so much more efficient out there. Ben:	And we always say that if this was 20 years ago we probably would need double the headcount and there’s no way people would be able to work remotely, so technology definitely plays a huge role in everything we do, not just with clients but organizationally as well and operationally. Steve:	Yep. It’s amazing what’s happening right now in terms of individual productivity in certain parts of the economy. And I think there’s also like to some people what you’re doing there’s a giant albatross you can run if you work in non-super high-cost areas. So if you said, “Hey listen I don’t need to live in New York City or in Silicon Valley, I’m willing to live somewhere else. You can have a much higher quality of life and save a lot more money. Ben:	Yeah exactly. I live in West Michigan, which is very affordable part of the country and I know how expensive it is to work in Manhattan and live there because a lot of my colleagues do, so yeah technology definitely is a wonderful thing in terms of allowing you to be productive from anywhere. Steve:	Right. So you don’t envision going to New York City, you don’t think you’re going to have to relocate there or anything like that? Ben:	You know that conversation never really got off the ground with my wife because we had a young child when I took this role, but really we have a client set that’s all across the country and if I need to travel I can, so I do go to New York and put in some face time with the firm headquarters. And I do travel to various cities, I was just in Chicago about a week and a half ago meeting with current clients and prospects and some other colleagues, so if I have to travel I can. I’m pretty centrally located in the Midwest so that’s definitely not a problem, yeah but otherwise technology really does make it easy for me to work from anywhere. Steve:	Nice. Can you just give me a little bit more on like what it is that you do as an institutional asset manager versus individual investing? Ben:	Sure. So, I’ve spent my entire career working in the non-profit space and I wrote about this a little bit in both of my books about the difference between the two but there are a lot of similarities. First of all, you’re really investing for a goal or a mission so that doesn’t really change. And I think the biggest problem for a lot of institutional investors is that they try to over complicate it, and they try to change things up, and they forget a lot of the simple blocking and tackling that goes into investing. And things like asset allocation, and having a long-term plan in place, and documenting your investment policies, so that’s kind of some of the stuff we do with non-profits. It’s kind of the way we look at it is you know the overarching philosophy of the firm is universal but the strategy is personal, so it really depends on what that non-profit, or family office or institution is looking to get out of their portfolio and what their mission is and what their constraints are. But the overarching philosophy is similar across all strategies and all clients no matter how big or small they are. Steve:	Got it. And do you deal with retail clients as well or is it just all institutional? Ben:	No, I do have a hand in working with individuals. We actually have financial planners that are CFP’s on staff, they’re the majority of the client facing people that really work on day to day basis with our clients, but that doesn’t mean that I don’t work with clients. I do have a few individuals that I work for or work with that have kind of been with me since I started with the company, but we do have the client-facing advisors that spend most of the time there. I’m on the firm’s investment committee so anytime there’s a question with the investments and the portfolio I can be brought in to have those conversations as well. Steve:	One of the reasons that you’re known is your blog and your Twitter following. I know you’ve kind of been kind of rapidly rising out there in the blogosphere. What do you think led to your success? So, the whole goal behind my blog was to take the complexities of the markets, which tend to confound a lot of people, especially those who are outside the world of finance and really drill down to those simple parts and make them much easier to understand and explain. And so, that was my whole goal. And I think one of the reasons that resonated with people, especially coming out of financial crisis is people really realize that they just didn’t understand a lot of the intricacies of how the markets worked. And a lot of people assume that complex markets require complex solutions, and I tried to turn that on its head and start with the assumption that less is more and simple beats complex 99.9% of the time. And really start with that as a foundation and try to better understand the markets, explain the stuff people really need to focus on, and then really try to get rid of all the stuff that they can ignore. And that was kind of the foundation of the blog. Steve:	That’s awesome. And when did you start the blog? Ben:	I started writing in early 2013, so it’s been five years now or so almost. Steve:	Wow. And I think right now you get about half a million to 700,000 visitors a month or something like that. Ben:	Again, something I never really … It’s funny, I used to look at those stats probably on a daily basis right when I started when I had 10 people reading the blog and now I don’t even really pay attention anymore. It’s interesting because there are a lot of people out there who from DIY investors to financial advisors and I’ve actually noticed that the majority of my audience that I’ve built over the years that really sticks with me besides I do have a lot of individuals that read me, but is financial professionals who need to better explain the financial markets to their clients. So I have a lot of financial advisors who follow me trying to better communicate with their clients and they understand that they’re dealing with individuals that really need to better understand this stuff. So, that was kind of a surprise to me from where I started this in sort of my humble beginnings that I never really expected. But I guess it makes sense the fact that communication is so important in the investment world. Steve:	Yeah, no, I mean I was talking to a friend of mine here who is actually an institutional money manager and he was talking about how he reads you and he had messaged you and you had gotten back to him, so I’ve definitely seen that out in the wild. Do you get a lot of people asking you questions? I mean that’s a pretty big audience, right? Does that take a lot of time? Ben:	I do get a lot of questions and especially if people are nice about it I try to respond as quickly as possible. I can’t respond to everything but I get a lot of thoughtful readers. And I think because I’m not trying to go to the extremes, and I’m not trying to make predictions about what’s going to happen next month or even next year, I think I have a really good reader base in terms of people who will reach out. And the other great thing about it is not only do I receive questions from people but I receive a lot of great feedback and research. And so, the stuff that I write I try to be very evidence-based and data-driven and a lot of times people will send me research that sort of builds on what I’ve written. And so, it’s a good way to have my own sort of team of researchers out there who are reading me and sending me more interesting stuff to read and research, so that kind of helps my own writing process. Steve:	Totally I think that it’s great if you can get that kind of positive feedback loop going with your audience and your users. And we see that with our planning tool to some degree where people are using it and some of them are super passionate power users, and then they’re tearing into it and asking us very detailed questions or identifying potential issues, so it’s super helpful to get that feedback and use it. So, last question on this, I’m just curious on your take and how you kind of jive the scalability of what you do around kind of software, you know writing and podcasting versus how you make money in terms of delivering more one on one service, which is at a lower scale. Do you see any conflicts there? Ben:	Yeah, so we have kind of an interesting business model in the financial advisor space and it’s not something that we really set out to do from the get-go it kind of just happened organically that we had a lot of people who were out there writing and communicating and putting these ideas out. And we sort of realized that we had similar values and a similar philosophy and way of looking at the world. And we all kind of came from different backgrounds but we came to a lot of the same conclusions about how things should be done. And one of the ways that we figured out this whole blogging and communicating thing and podcasting and going on TV it really allows us to scale our time better between things like business development, and sales, and marketing, so we don’t even have any of that stuff within our firm. We don’t have a person who does business development for us, really our writing and our communicating is our business development. And what that does for us is there’s fewer questions coming in from clients and prospects about what we think about the world and how our views about investing change, or what we think about what’s going on in the headlines because we’re constantly communicating that with them. And what it also does with current clients is we think it helps sort of bridge that gap and let them know so they know exactly what we think at any given time. And so, that gives our financial advisors more time to really focus on the client and what they’re going through and what their situation is, and really offer financial advice instead of answering continuous questions about what’s going on in the markets and what the latest headlines are. So, we think it allows our advisors to actually work with more clients because they’re answering fewer questions about what’s going on in the markets so they can spend more time offering financial advice. Yeah, and if you think about it the buyer really was at a disadvantage for a long, long time. The corporations or the service providers really had all the information and a lot of the world used to be, “Trust me I got this.” And now that informational edge has really gone to the buyer. And so, it’s much more of an even playing field where people can look up and understand when someone is telling them something that is false or they can’t back it up with data. And so, this sort of, “Trust me I’ve got this,” or going with someone just because there’s a name on the door, that whole line of thinking is really changing. And so, people want someone to tell them how it is, and how it’s going to be, and here’s what I’m going to do for you, and then I’m going to go out and try to do that for you, not just BS you and tell you what you want to hear. And of course that doesn’t work for everyone there’s still people out there who want to be sold something that can’t possibly be done for them and they’ll jump around from different advisors to different advisor, but we think we have kind of a self-selecting client base that reads our stuff and sort of gets to know us better. And it really shortens that prospecting window for them to get to know us and really trust us. And it also works, it’s kind of a two-pronged effort and it works for people who are coming to us to want to work for us as well. So, we don’t really put out feelers to LinkedIn or our Careerbuilder or something to fill any positions, we have people coming to us that kind of have a similar worldview and want to work with us. So, it’s actually worked on a number of different fronts for us in a good way. Steve:	Yeah, that’s awesome and I can totally … I mean an analogy for me as a consumer of healthcare today when I am talking to a doctor for myself or my kids I tend to go in pretty well educated. Every interaction I feel like I’m coming in more and more well educated, asking more and more pointed questions. And I’ve gotta imagine in the wealth management space you’re seeing clients at least some of them coming in and asking more and more detailed questions. Ben:	Oh definitely. And because a lot of our readers become clients we have people who are very well educated in this stuff. And so, they ask detailed questions, they want to know what’s going on. So, yeah it’s a very educated client base that we have, which is a good thing in a lot of ways because a lot of those simple concepts have already been explained hopefully through the blog, obviously we still take them through a whole process and explain exactly what we do and how we do it, but we think it sort of shortens that window a little bit again, of breaking down the trust and making it easier for people to understand exactly what we’re doing because we are trying to be so open and honest and transparent in everything we do. Steve:	Yep. That’s awesome. Well look I do want to circle back and I want to talk to you a little bit more about this later in the podcast before we do that I wanted to get just a little bit more about your book and your point of view that you put forth in it. Can you just give us a quick summary of your core principles? We talked a little bit about complexity and avoiding that but the top points that you make in the book. Ben:	Sure. My whole ethos really boils down to the idea that less is more and I think for most people there’s such a temptation to always make changes to your portfolio or to your financial plan because there’s always so many great options out there. And so, it’s really kind of a double-edged sword for a lot of investors these days because it’s probably never been a better time to be an individual investor. There are amazing free tools out there today that people would have paid thousands of dollars for in the past. And there’s investment products out there, and strategies that are accessible to the retail investor that were only for institutional investors and high net worth clients in the past. So, it’s a great time to be an investor but it’s also really challenging because there’s so much out there and just so much temptation to try to do something else and chase the fads. So, I think really one of the big points that I try to get across in the book is this idea of negative knowledge, and that’s filtering out what doesn’t work, or not what doesn’t work but what doesn’t work for you. And so, it’s really about understanding yourself, your own emotions and to a higher extent your lesser self, and understanding what doesn’t work for you. And so, if you can filter out all the bad stuff and the stuff that really doesn’t fit within your investment plan hopefully whatever’s left over is just what will work for you and that you can kind of stick with and avoid all the other pitfalls that a lot of investors fall into. Steve:	Yep, got it. Yeah, that’s come up in some of our podcasts with Jonathan Clements and Bill Bernstein that for a lot of folks their own behavior and themselves, they’re the biggest risk essentially to their portfolio is that they can’t control their own behavior. Ben:	Yeah it’s true in a lot of ways and that’s for professional and individual investors alike, it doesn’t really matter because a lot of professional investors get caught up in their own … they buy their own smarts and they get over confident. And individual investors a lot of times don’t know who to trust and who to follow and so they hop around. And so, really it’s about beating your lesser self in a lot of ways. My whole way of thinking about investing is, how can you take yourself out of the equation as much as possible by making it systematic and rules based and planning ahead of time for what you’re going to do? And making those sort of buy and sell rules, and rebalancing rules ahead of time so you don’t have to make those in the heat of the moment, those emotional decisions when those emotions are running high? So, it’s how do you create a plan in place that you can follow with some policies to sort of guide your actions? Steve:	Yep. When you’re in the heat of the moment and when you see big movements do you find that clients stick to their plans or do they freak out if they think the world is ending and get off their plan? Ben:	I mean of course I think in 2009 there certainly were a lot of investors who freaked out and probably sold close to the bottom. In terms of our clients what we see, and I kind of get a wide range of people because I have people emailing me that follow the blog, I have clients, I have prospects, people we talk to and then other institutional investors I see around the world. Yeah, it’s certainly not easy to stick to a plan because the environment’s constantly changing so that’s why we think that the investment planning process is a process and not an event because the implementation is the most important part about it, it’s not just creating that plan it’s following through with it and figuring out when it makes sense to make a minor course correction or when it makes sense to simply do nothing and follow the plan as stated. So, that’s kind of where the rubber meets the road and understanding, “Am being disciplined here by following a plan even when it’s not working? Or am I being too stubborn and sticking with something that doesn’t work anymore,” which is one of the hardest questions to answer as an investor. Steve:	One of the really interesting things that I saw in your writing is that you suggest that people take a personality test when they first start this process. Ben:	Again, I think it really comes down to understanding yourself and where your weak spots lie. So we throw two investment conferences every year, Evidenced Based Investing conference, so one of them’s in California one of them’s in New York and at the most recent one in New York we had Jason Zweig speak. And someone asked him, “So, what is the biggest behavioral bias that you’ve seen?” Because he studied that for his whole career and has a great book on it called Your Money and Your Brain. And Zweig said, “The greatest bias is the one that you don’t see.” And so, for a lot of people it’s easy to try to come up with the one biggest mistake most investors make but for a lot of people really it’s a mistake that’s your weak spot. So what is your lesser self? So, it’s really understanding where your own weak spots lie is a good way to sort of figure out how to avoid them or how to build a plan around them so you can actually still function and not totally sabotage your portfolio. Steve:	Got it, that’s interesting. So, do a lot of your users or a lot of your customers end up taking a personality test and kind of like getting better insight into themselves and you coach them on that? Ben:	We work with a firm called Riskalyze which does sort of a behavioral lead based questionnaire to kind of get to know people a little bit. And that’s one of these things where it gives a risk score, but it’s not the score so much that’s important it’s really using as a talking point, and a starting off point, to really get to better understand people’s views on money and loses and gains in a portfolio, and kind of match that up with their experience in the markets. So, it’s really a good sort of starting point to start a conversation with someone. Steve:	Got it. Interesting. So, do you have a lot of customers that are at or are living in retirement today? Ben:	Yeah, so we actually have a wide range of clients. So, we have clients who are retired, we have clients who are approaching retirement, we actually have a lot of younger clients and we tend to skew younger because we are such a technologically focused firm. And so, our client base kind of runs the gamut from people who have retired early, to people who are thinking about retiring in the next decade or two, to those who already free of the workplace and sort of starting retirement. So, we cover a wide spectrum. Steve:	Got it. For the folks that are at or living at retirement are a lot of them concerned about how to fund healthcare? I was on a big email exchange with some folks from the Society of Actuaries and talking about the data where it looks like an average couple at retirement is going to need about $300,000 for out of pocket costs for healthcare alone. Ben:	Certainly with things like that you never can predict how they’ll play out but we do try to build in something a little margin of safety when thinking about the inflation of these type of things. So, especially with something for younger people trying to map out how much college is going to cost for their children, so that’s something I’ve been trying to deal with personally. But yeah, for retirees we build in a pretty high inflation percentage in there because we’re worried about getting people that margin of safety because obviously the cost of living and the standard of living in retirement is one of the biggest things people have to worry about. But on the flip side of that one of the things that our advisors are constantly telling us from people who do have enough money in their retirement portfolio and they’ve spent their whole life saving, a lot of people have a hard time really flipping that switch and turning into a spender. And so, actually on the other side of things we have a hard time getting clients to spend money when it’s perfectly fine in the nature of their plan and it’s not going to impact the probability of them reaching their goals over the years. So, it’s kind of an interesting dichotomy of going from being someone who’s contributing to retirement accounts and saving over the years to taking distributions and really turning into more of a spender and enjoying it. Steve:	Yep. I think it’s also interesting how people change as they kind of go through their lives where when you’re younger I think you’re living more maybe in the moment and thinking less about your future self. And so, you’re spending money buying maybe new cars and stuff like that. And then when you get older I think a lot of folks if they have been good savers they tend to stick with that discipline. And also I think many folks get less enjoyment from spending money on material things. I think they still enjoy getting experiences but we see this, some folks they dial back their spending. There’s actually some research that shows kind of I think real expenses drop one percent a year once you hit 65, so it’s kind of a 10% decline in spending per decade, which is not insignificant if you look at over a 30 year time frame. This is in real dollars. Ben:	Right, yeah. And it’s kind of getting people to enjoy it while they can in a lot of ways. Steve:	Totally, yep. Yeah, no, we actually had a user today that was messaging us that was like, “Well, I think we can retire now.” And I kind of want to do this and my husband is more conservative. He wants us to keep working. It’s this one more year syndrome that you see some of the financial bloggers talking about. It’s like, “Can I just stop now or should I keep going for one more year cause I make so much money now? Or I want to manage risk better,” whatever it is. What do you tell clients that are struggling with that? Ben:	And honestly that’s one of the things that people come to us for in a lot of ways, they just want to know that they’re going to be okay and they want to know that they’ve saved enough and they can hit their goals, and they can spend money on that vacation home or buy that next car or whatever it is. So, in a lot of ways you’re giving these people investment advice and financial advice but in a lot of ways they just want to know that they’re going to be okay and they want to bounce ideas off of you for when making these decisions, and have someone to work though with. So, I think that’s one of the big value adds that an advisor can do is really help people get more comfortable with their plan and understand that they have a high probability of doing everything they want to do and not running out of money before they die. So, yeah, it’s definitely a challenge to get people to understand that because there’s always so much uncertainty about what’s going to happen in the markets in the path of the returns, and all these things that you just can’t plan for. So, it really comes down to making decisions with all the information you have at hand and updating as things happen. Steve:	Yep. So, I’d like to talk a little bit about kind of the future of wealth management. We started touching on this, I know you go around and you talk to wealth management firms about, “Hey, how do I build a successful blog? What are we doing inside of Ritholtz to be successful?” But, on the one hand I also see on the other hand you’ve got these kind of emerging robos that are both startups like personal capital and wealth front, and then you’ve got kind of Vanguard and Schwab rolling out their own kind of robo solutions that are frankly scaling so much harder than startups. What’s the point of view of the traditional wealth managers out there? How do they see the world and what do they see in the future? Ben:	I think a lot of traditional wealth managers are probably scared of what’s happening around them and the people who fight their technology I think are going to be sorry. So, the way we look at the world is, anything that can be automated will be automated in the future. And so, it makes sense to really integrate those technologies into your firm as opposed to trying to fight them. And so, I think that traditional investment advisors can learn a lot from the new technologies that are arising and really hope to use them to their advantage. So there’s something like 300,000 financial advisors in the country right now, and I think 100,000 of them are over the age of 55. And so, what that means is not only are there a lot of Baby Boomers retiring the years ahead, I think there’s something like 10,000 a day but there’s going to be a lot of financial advisors retiring as well. So, people are going to be in the need for a new financial advisor as well, right as they’re hitting their retirement years, which is going to be kind of difficult to deal with. And a lot of these financial advisors that we talk to don’t really have a back up plan, they don’t have someone they can hand the business over to. And so, either they’re going to work until they die or they’re going to sort of ride off into the sunset and retire and their clients are going to be sort of left holding the bag. My hope is that technology really scales the financial advice side of things, and I think that, that’s not very easy to do because as I said, you have to really get to know the individual and the person. But I think that would be my hope for where the investment and wealth management industry goes. I think there’s probably too many CFAs in the world, which is my side of the aisle where it’s focused on portfolio management, and investment, and funds, and securities. And probably not enough CFPs who are more focused on financial planning and offering financial advice. So, my hope would be that a lot of investment people end up migrating over to the financial advice giving side of things and I think that would be really helpful to a lot of people. And hopefully technology will sort of lead the way on a lot of that. Steve:	Yeah, no, I think that you’re definitely going to see some pretty big changes in this industry like you’re seeing in any services industry. Like I know in the legal profession there’s a lot of pressure there, a lot of law firms are changing or some are going away because the reality was that for some of these firms they made a lot of money doing kind of heavy lifting tasks that have now been automated through optical character recognition and stuff like that, research. And a lot of that stuff is getting put into databases and it’s quicker to find relevant cases and stuff like that. And I think on the wealth side same thing you know, portfolio management, which a lot of firms were charging 100 basis points for is now being automated for 25 basis points or less by these robos. The question is, how do you deliver the planning value in a scalable way? So, yeah, I think you will see it. I mean, that’s what we’re working on is a solution around planning that starts with kind of do it yourself but scales through collaborative planning that’s kind of digital first where it’s online, so that’s where we see it going. Like most industries I think you’ll see the rockstar folks that have really good ideas scaling to serve many more people, where in the past maybe one advisor served 50 or 100 families or something, you’re going to start to see folks like yourself spreading your ideas to thousands of people, but delivering the implementation through technology that lets them kind of spread their good ideas to a much bigger audience. Ben:	Yeah and unfortunately I think we talk to a lot of advisors as well who get to a certain point in terms of assets under management and really what a lot of these people want to do is get more clients and work with their current clients and they don’t want to run a business. And so, unfortunately I think like you said, there’s going to be a lot of larger firms that are going to be sort of taking market share in this environment and really you’re seeing that already there’s these rollbacks all the time with private equity firms buying out RIAs. We’ve had a lot of luck of that as well, we’ve had a few smaller RIAs that have joined us and again, the focus for them is on the clients and not running a business and all the headaches that can come with that in the operational side of things. So, I do think there is going to be a lot of consolidation in the industry, especially as I said, with all the advisors who are going to be retiring in the years ahead and looking for something of an out. Steve:	Yeah, totally agree with that. And I think one of the things that’s happening is the end client is getting more educated so they’re starting to ask more questions about, what are the fees? What’s the value that I’m getting? Like you said before, prove that value to me. So, I think people at least the one good thing about the fiduciary role even though it’s not fully implemented or not, it’s kind of on hold, is that more people know what fiduciary is that are saying, “Is my advisor actually a fiduciary? Do they have my best interests? Are they putting my interests out of their own?” And asking questions about that because I think up to 300,000 number probably half of them are actually or more than half are sales people. I think a number of CFPs is like tens of thousands or less than 100,000. Ben:	Yeah, and I definitely agree that there’s a huge difference between an advisor and a sales person. And a lot of people in the past thought they were working with an advisor and they really were working with someone pushing products on them. And so, I think that’s hopefully where we really see a sea change and will continue. And I think it would have been nice to get a better fiduciary role and have that change a little bit more but I think like you said, now that the cat’s out of the bag and people can actually look some stuff up and understand this better, I think it’s going to be hard to go back. And people are now getting more knowledgeable and understanding that this stuff really matters, and they want someone who’s looking out for their best interests and not the interests of shareholders or the bottom line of the firm. Steve:	Right. I think one of the big challenges though, I had a guy on Chris Memula last week, it’s not live yet but he’s become financially independent, he’s kind of a regular guy but he was like, “You know when I was younger and saving a lot of money but less sophisticated I was essentially preyed upon by salespeople calling themselves advisors and they were selling me all kinds of like crazy stuff, variable annuities inside of the wrong vehicles and whatnot, all this tax inefficient strategies that had high loads.” One of the big issues is that, so for more sophisticated consumers who tend to be savers and have money yes they’re learning what a fiduciary is but there’s a whole segment of the population that is less sophisticated and unfortunately they’re the ones that are most at risk and essential preyed upon by less ethical folks. Ben:	Oh sure. And then that’s why financial fraud is never going away because there’s always going to be people out there who are making promises to give you something that probably they can’t deliver. And unfortunately people who are outside of the world of finance and don’t understand this stuff, the first intelligent sounding narrative they hear they’re going to latch onto it and assume that this person is going to solve all their problems. And so, it sounds great and it makes them feel comfortable and it really can take advantage of people who don’t understand this stuff. Because unfortunately complexity sells in a lot of ways and I always say that a talented sales staff will trump a talented investment staff nine times out of 10 in this business in terms or raising money. That is something that’s very difficult to get through for a lot of people. Steve:	Yeah, I totally agree with that. I feel like there’s so many products out there at least historically that have been like made to be complex so that the sales guys have something to talk about and can kind of like wave their hands at someone and get them to think it’s a really sophisticated product. And then they kind of bury the cost and it ends up hurting the client. Hopefully more and more people are getting that message that simplicity rules and stuff doesn’t have to be too complicated. All right, so I just want to move on real quick and ask some questions from our users. One thing in headlines right now, the 10 year treasure is hitting three percent yield, does that change your view on kind of the markets and what it’s going to look like going forward? It’s funny people think three percent interest rates are high, tell someone in the 1980’s that when people were having double digit mortgage rates. So, it’s kind of always a relative world and it’s kind of funny that three percent sounds high to a lot of people when back in the day three percent seemed pretty low. Things are all relative. And it’s hard to say whether a certain level will affect something a certain way. Or whether stocks will sell off and maybe it’s just a coincidence that this happened, but I think it’s hard to really do a lot of if then scenario analysis on things like interest rates, but definitely keeps things interesting. Steve:	Right, yeah, no I know what you mean about getting used to low rates. I recently bought a used car and I decided to finance part of it, not too much of it. I kind of walked in there thinking, okay, I think my last car which was like 11 years old it was like 0.9%, right? And so I walked in, I was like, “Four percent. Four percent? This seems like a lot. Do I want to pay four percent interest?” And I actually don’t want to pay four percent interest. I don’t want to finance any part of this but it was kind of interesting to see that. And then I was thinking, “You know, as these things go up it does make people think like how much do I not want to do this transaction because the interest rate or will it split on the economy?” Cause that’s happening across anything that you’re financing, so houses and cars or whatever it is. Ben:	Yeah, it’ll be interesting to see if that slows down or if it spurns people and gets people off of their butts a little bit to do something. If they say, “Well, if rates are going to continue to go higher I’m going to just buy a house now and lock in lower rates.” I remember my first mortgage in 2007 was 6 1/4 I believe and I think we refinanced three or four times as rates kept falling during the crisis and the aftermath. So, yeah it is kind of interesting that now people don’t know, do higher rates mean that things are overheating the economy, or maybe are higher rates a sign that things are actually doing okay in recovery and can finally stand on its own legs a little bit. It is kind of interesting to see the different narratives that are attached to any time something like this happens. Steve:	Yep, totally. By the way I saw a related headline to that because I did the same thing. I bought my house in 2009, which is a good time to buy houses but rates were definitely higher. It was by the way just next to impossible to get a mortgage at that point because I was a small business owner. But luckily I got it and then I proceeded to refinance it several times and now I’ve got a super low long-term mortgage like many people in this country but it creates lock in, just like out here in California this Prop 13 kind of lock in where you get your tax basis is kind of set and it doesn’t grow with inflation, or grow slower than inflation so people kind of have artificially low housing value assessments. And therefore, artificially low property taxes and then don’t want to move. So, that’s happening potentially across the country where people have these lower mortgage interest rates and they’re like, “Do I want to trade out of my mortgage or not?” And I think for many people it’s like, “I don’t.” And therefore they don’t move and that has other repercussions. So another question, do strip bonds or zero coupon bonds have a place in a fixed income portfolio and if so what kind of waiting? And I know this is kind of like a super detailed question but I was curious if you had any point of view on. This is for an individual retail investor, not like a pension fund. Ben:	Okay, I guess one way to think of this, it’s always hard to offer specific advice on something like this whether you should buy or sell and I never make those predictions, but one way to think about zero coupon bonds in terms of your portfolio is they are very extremely volatile and they can really move around a lot. The taxes can kind of be a pain on them because you’re technically paying taxes even though there’s no income portion of it. And so, I think people who are thinking about investing in zero coupon bonds have to understand whether they want more volatility in the bond portion of their portfolio or not. Or whether they want to take volatility in the stock portion of their portfolio. So, that’s kind of some of the things that I would think about when assessing a security like that. Steve:	Right. Yeah, it’s kind of a detailed question. I mean, just as a side note we did some work around building a synthetic pension plan and that’s one I got exposure to zero coupon bonds, and it was used for kind of portfolio immunization, so asset liability matching. You tend not to kind of see kind of retail investors asking this kind of question, but I thought I’d throw it out there. Ben:	Well and I’ve seen some people who say, “I want to invest in a variable annuity without paying the fees.” And one way to do that is to buy a zero coupon bond and then take the difference that you know you’re going to get at maturity and invest it in the stock market, and that’s kind of your own homemade annuity. So if you invested let’s say $7,000 in a $10,000 zero coupon bond that’s going to give you $10,000 at maturity. If you invested $3,000 of it in a portfolio stocks there kind of is something of a variable annuity that locks in that value at maturity for you. So, that’s something I’ve seen in the past too. Steve:	That’s awesome. That’s a good idea. Last question here, actually maybe the second to the last. For people who have a chunk of cash and want to invest, is it better to lump sum it in dollar cost average it in, or try to time the market a little bit. Ben:	I just wrote a piece on this for Bloomberg actually last week and it’s easy to run the numbers and a lot of other places have done it too. Vanguard ran the numbers and they found that roughly 2/3 of the time the lump sum would be dollar cost averaging because the majority of the time the market is going to go up. The problem is a lot of people assume if they have a large slug of cash that right after they invest immediately the market’s going to crash and then they’re going to really regret that decision. So, I like to look at this through the lens of regret minimization, which is investing in a lot of ways. So, what are you going to regret more, investing now and seeing a huge loss or holding off and dollar cost averaging and then missing out on huge gains? So, I really think there isn’t a right or wrong answer on this but it really depends on what’s going to make you regret more. And I think it doesn’t have to be one or the other, you could also split it up and do a little bit of each just to sort of keep things simple and do half of one and half of the other just to sort of spread your bets a little bit and diversify cross market environment. Steve:	Last question here and this is for two reasons, so one, Davorin is about to go to college so I wanted to ask you, I know you recently wrote about this but like is college worth the cost? And the other reason is that I have a 17 year old that is going to be a senior next year and thinking hard about college. And just as an aside here in California he’d like to UC, it’s super hard to get into UC. I mean if he does, great. If he doesn’t, more and more we’ve actually been thinking about, “Oh, maybe go to a community college for two years,” which is basically free, right? And then if you do well enough out here in California actually can automatically get into a UC, which is kind of shocking because that’s like the huge hurdle. Ben:	I actually think that’s a great strategy for people who don’t know exactly what they want to do and they want to save some money and not come out burdened with huge student loan debt. Getting rid of all those pre-requisites and those starter classes in community college for two years and then going to a public university, I think that’s a great idea actually. You know I think there’s a lot of pros and cons and I think a lot of people probably out there in California probably talk about the fact that some of you don’t need to go to college cause right out of high school you can do your own startup. Obviously I think that’s a little bit kind of like a lottery winner telling people they should just continue to buy lottery tickets until they win. Because it’s obviously very hard to do. I think there’s a lot of unintended benefits of college, things like social skills and learning to be more responsible for yourself, and living on your own. So there’s a lot of those kind of skills that are hard to get if you don’t go to college and really developing relationships and getting to understand people better, and building your people skills. So, I think those are a lot of the things that actually helped me in college. Steve:	I’m definitely thinking hard about what the ROI and whether or not to go to a two year versus four year right out of the gate. As we kind of come to the close here I was just curious to get your take on some of your big influencers and maybe some of the best insights you’ve learned over the course or your career that impact how you write and your point of view. Ben:	One of the best things you can do to become a better writer I think is just read a lot. And so, I think that’s actually helped me a lot. One of your recent guests Bill Bernstein is one of my favorite investment writers of all time. He’s really influenced a lot of the ways that I think about the markets and investing and the behavioral side of things. I highly recommend any of his books, but I think really it comes down to really reading and understanding and having sort of a passion for this stuff. So, I think constantly reading and trying to better understand what’s going on is a great way to become a better writer yourself. Steve:	Got it. Any particular writers that you like? I think some of the previous podcasts we’ve talked about some of the writers that are associated with Ritholtz, but any other writers that are out there that you like a lot? Ben:	Jason Zweig for the Wall Street Journal who I mentioned one of my all time favorites, his stuff is just great. I really like a lot of Joel Greenblatt’s books, I think he’s an excellent communicator when it comes to explaining how the markets work. And I also think it makes sense to read outside of the field of investing. Anything in the phycology realm or behavioral economics realm I think is a worth reading. Anything from Daniel Kahneman or Richard Taylor and a lot of those guys. So, I think that helps to read outside the world of investing as well. Steve:	I think Joel Greenblatt he was just on a podcast with Bary Reynolds wasn’t he? I think I saw that. Ben:	Yeah, yep, yeah. And his little book that meets the market is actually a wonderful explainer for how the markets work for young people who actually don’t understand how stock markets and businesses work. Steve:	Yeah, I started to read through the transcript and it looked like he had some ridiculous series of returns, like over 50% for a long-period of time. That seemed unbelievable to me. Ben:	It is and supposedly that’s the story he did it for almost 10 years and earning his own hedge fund and in a concentrated manner but he actually talks a little bit more about diversification and that sort of stuff these days, which it’s kind of great to see someone who was that successful who says … It’s kind of hard to emulate that and there’s a different way to do things. Steve:	Nice that’s awesome. All right well I appreciate this. Any questions for me before I wrap this up? Ben:	I guess I’m always curious what the most pressing issues for you from clients that you’re hearing, it’s always kind of interesting for me to talk to someone else in the industry to hear what people are worried about. Steve:	Yeah, sure. Our audience is mostly people like approaching retirement or living in retirement. So, a lot of them like I said, are concerned about, do I have enough? Can I actually retire right now? I think they want to understand at the more granular level so they want to see what their plan looks like and then our software lets them do that. We get a kit if questions about social security, how it works, about the work penalty, how much money can I make if I take social security early before my full retirement age? We’re definitely seeing more concern about healthcare, how to fund that. And also about longevity. And I think another big area is just tax efficiency, so our average user has about a million dollars, so they’re definitely at the higher end of the spectrum. And so, they’re really thoughtful about sequence of return and just how to be tax efficient in their drawdown and also if they’re still a commanding wealth, how do they position themselves and Roth’s and stuff like that. Ben:	Yeah, so again it kind of comes down in a lot of ways to financial advice as disclosed to investment management. That is something that we spend a lot of time on too, that sort of asset location and how to take money from portfolio, it’s stuff that people don’t really put a lot of time and effort into but can have a big impact on your bottom line. Steve:	Yep, totally. Well I think more and more people are getting that message and so, they’ll be asking hopeful better questions and making better decisions. So, Ben thanks for being on our show and Davorin Robison, thanks for being our sound engineer. Anyone listening, thanks for listening. Hopefully you found this useful. Our goal at NewRetirement is to help anyone plan and manage their retirements so they can make the most of their money and time. We offer a powerful retirement planning tool, and educational content that you can access at newretirement.com. We’ve been recognized as Best of the Web by groups like the American Association of Individual Investors. What ideas can you apply to your own retirement plan?